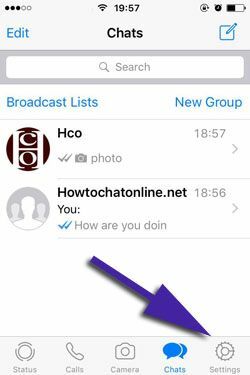 Banners are a useful feature of WhatsApp Messenger for iOS version of the application. You can enable this option from notifications settings of the application or directly from settings of your phone. However this feature sometimes can be quite annoying for those who have enabled it accidentally. We are going to tell how to disable notification banner from your iPhone devices on this page. You can find the step by step guide below. There are also images for each steps. It is recommended to check these images before you apply those steps on your phone. If you have any questions, please feel free to ask us through comment this page. You can swipe down to see comment section. Please do the following steps for disable notification bannes from your iPhone or iPad devices. You can apply the same steps for iPad devices too. 1-) Please run the WhatsApp Messenger on your iOS device first. 3-) Tap on “Notifications” on the settings. 4-) Tap on “In-App Notifications” on your iPhone. 5-) You will see three options and images at the top of the page. You will need to select “None” from those options as we have shown in the picture below. 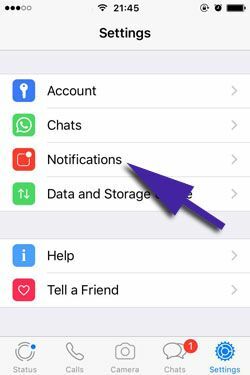 That steps are all you need to do for disable WhatsApp notifications banner for iPhone.